I woke this morning at 5:24 AM, and this contrasts with my usual crawl from the bed at 8AM, to which I must scurry to the shower, and then off to work. Why am I waking so early, you say? Though this publication be named ‘a testament of sentience’, it’s more realistically a testament of waste. I have been studying different ways to increase productivity. One such method is… well, proper methodology. I have found that many succesful people wake early, and begin their work while their body still has within it the same early morning vigor necessary for early human survival, before we found ourselves in this suffocatingly-safe environment we call polite society. If you too are interested in gaining a point or two in productivity, below are some resources. First, I highly recommend reading the below link (of which the above image references) by ryans01 of reddit.com. 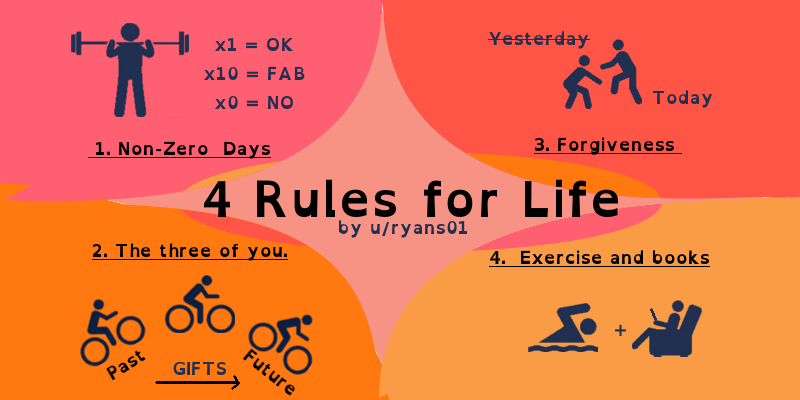 He presents 4 excellent, excellent rules regarding self improvement. 4 Rules for life <— Really worth the read! And since you’re on this blog (and on the net more generally…), you’re probably procrastinating on whatever art, dream, goal you have in your mind. As per procrastination, the above image is from waitbutwhy.com’s brilliant pieces on procrastination. Be sure to read this too, both links below! Really helpful/insightful stuff. Another interesting resource (with free features) is Rescuetime.com. It’s a little weird in the sense that it cyber-stalks you… watching how you spend your time, but really we’re all being monitored 24/7 by a plethora of intelligence agencies (benevolent and otherwise), so who cares? This productivity app will provide daily breakdowns of how you have been using your computer time, and with this, one can see that it’s probably time to close reddit.com/facebook/youtube and finally do something productive with your finite existence. For a change of pace, here’s a pic I took of some friends in the woods (my friends wearing glow in the dark bracelets) @ ISO 256,000, 24 second exposure. Ferns in the woods. 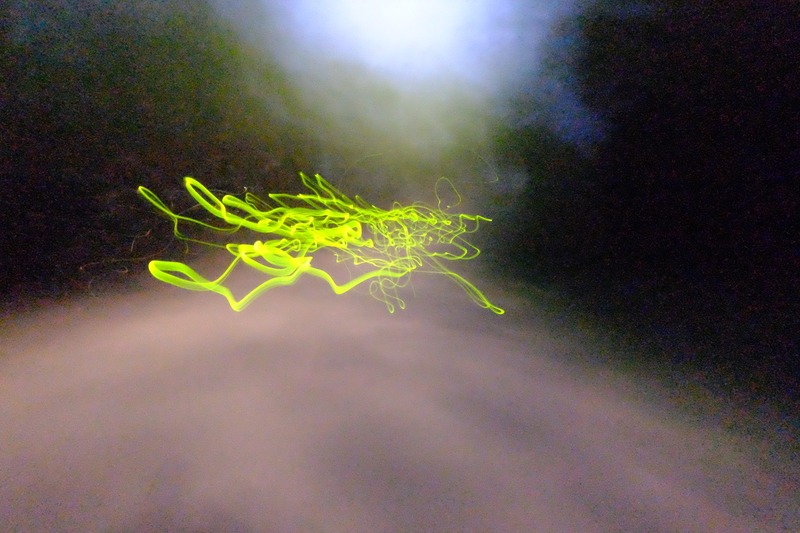 Midnight, long exposure as I walked. Before I dash off to do office work (bleh), here are some cool links I’ve been enjoy as of late. This entry was posted in Uncategorized and tagged Goldroom - Till Sunrise (feat. Mammals), Heroes Of The Enlightenment Ep1, music, Open Yale Course, philosophy, philosophy of death, politics, procrastination, productivity, rescuetime, waitbutwhy, Who rules America?. Bookmark the permalink.